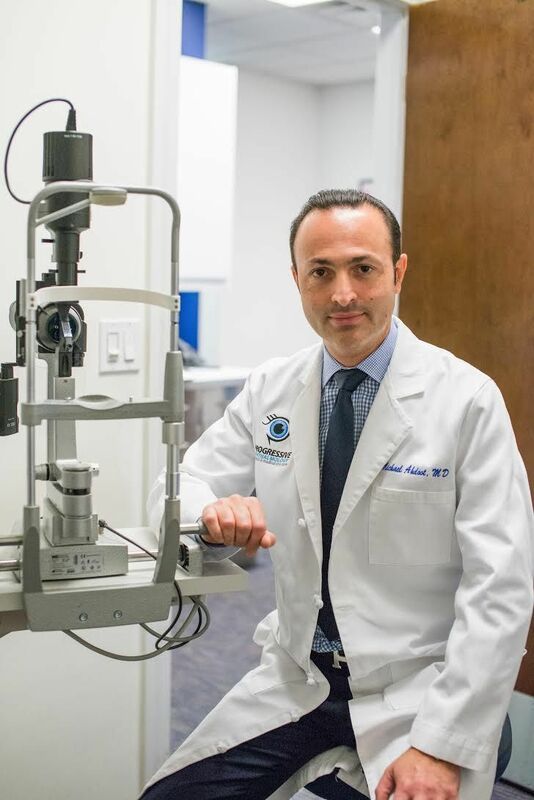 Dr. Michael Ahdoot, founder and President of Progressive Ophthalmology, is a Board Certified Ophthalmic Surgeon - certified by the American Board of Ophthalmology. Our practice is comprehensive in nature - spanning the range of medical and surgical eye diseases and conditions. As a Mount Sinai Medical Center Fellowship trained specialist in Cornea, External Disease & Refractive Surgery, Dr. Ahdoot specializes in no-stitch cataract surgery with premium intraocular lens implants, LASIK laser vision correction and treatment of dry eye and other eye surface disorders along with glaucoma, diabetic & hypertensive eye care, macular degeneration and all other aspects of ocular disease. Dr. Ahdoot is an Ivy League graduate of Cornell University where he received a Bachelor of Science Degree in Biology and Human Development, Psychology and Sociology. After receiving a Master of Arts Degree in Biological and Physical Sciences, he received his Medical Doctorate Degree from the prestigious Faculty of Medicine of the Technion Israel Institute of Technology where he graduated at the top of his class. Dr. Ahdoot completed an internship in General Surgery at Maimonides Medical Center, an affiliate of Mount Sinai Medical Center. He then entered residency training in Ophthalmology at North Shore University hospital, an affiliate of New York University Medical Center and Long Island Jewish Medical Center, an affiliate of Albert Einstein College of Medicine. In his last year of Ophthalmology Residency Dr. Ahdoot was chosen to serve as a Chief Resident in the North Shore-LIJ Department of Ophthalmology. 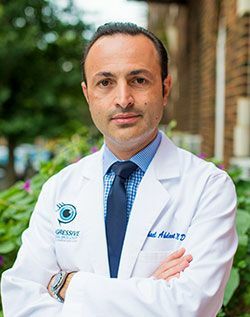 He then completed a Fellowship in Cornea, External Disease and Refractive Surgery at the acclaimed Mount Sinai Medical Center where he also received a coveted Fight for Sight Fellowship Grant for advancing research in vision and treatment of ocular diseases. Dr. Ahdoot's clinical experience includes both academic and private practice patient care. 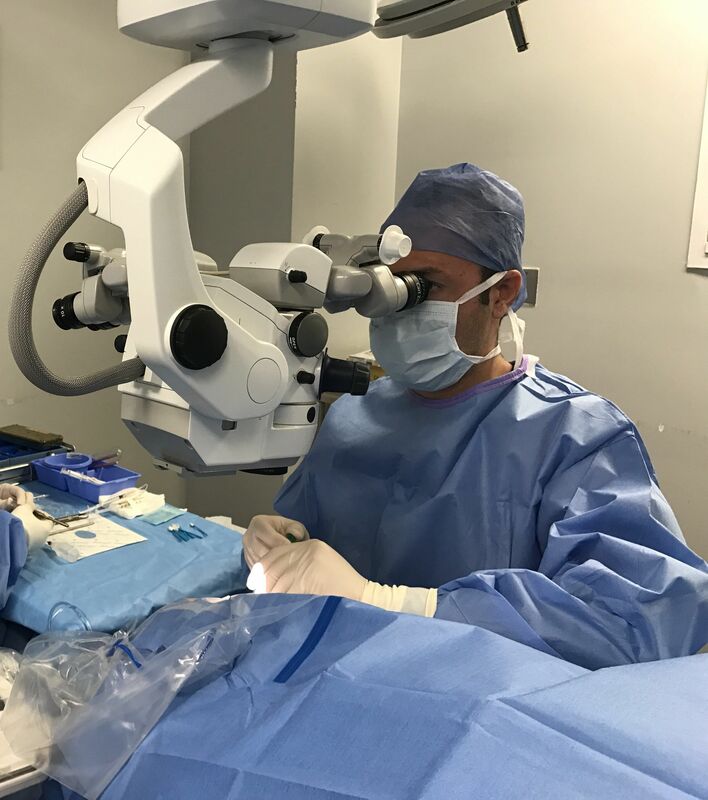 He is also actively involved with resident education, teaching future generations of Ophthalmologists the art of ophthalmic surgery and patient care. Dr. Ahdoot maintains privileges at several Hospitals throughout the New York metropolitan area and Long Island, including serving as an Associate Adjunct Surgeon at the esteemed New York Eye and Ear Infirmary. He also holds active clinical and surgical Attending positions at North Shore University Hospital and Long island Jewish Medical Center, among others. Dr. Ahdoot is a Fellow of the American Board of Ophthalmology, and a member of the American Academy of Ophthalmology, the American Society of Cataract and Refractive Surgery, New York State Ophthalmologic Society and the Association for Research in Vision and Ophthalmology, among others. 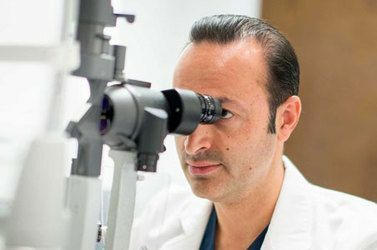 Through his vast clinical knowledge and experience, as well as through continued education and the incorporation of the most updated equipment and techniques, Dr. Ahdoot is proud able to provide his patients with the highest quality ophthalmic care. Dr. Ahdoot is a staunch advocate of a personalized approach to patient care. He creates a warm and caring atmosphere in his office for all patients. He places great emphasis on educating his patients and involving them in their own eye care. Supported by a state-of-the-art office, Dr. Michael Ahdoot and the Staff of Progressive Ophthalmology provide comprehensive, quality service and superior results.